Not content on sitting still, Chevrolet is offering the Grand Sport edition of the Corvette, making for a more sporty driving experience. The Grand Sport is able to do sub four seconds 0-60 times, 1.0g on the skid-pad and an optional track capable Z52 dry sump performance package. Not to mention the superb fuel economy of 26 MPG on the highway. The curb appeal of the Corvette Grand Sport is incredible. The aggressive looking five-spoke wheels, the distinctive bulging fenders, the distinctive front end and rakish side profile as well as the appetizing exhaust growl make for an unforgettable entrance regardless where you go. The doors are very large, and once open you literally climb down into the sitting area. Once inside, both the driver and passenger are ensconced in a fighter-jet cockpit like cabin. Gone are the gimmicky star wars digital displays, replaced with a very complete instrument dash that even offers a HUD (Heads up display) that includes several different displays to pick from. 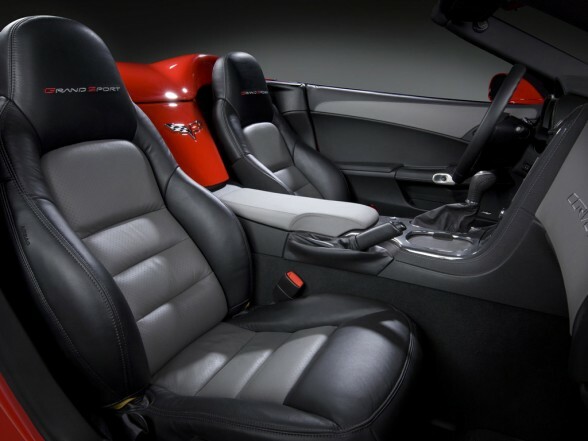 By selecting the 4LT option, there is a provocative leather-wrapped interior package, two tone seating, special stitching on the seat headrests and special color trim on the console. Fit and finish is better than before but the Corvette still has a lot of hard, ho-hum interior plastics and trim. Convertible top operation is not very intuitive, but once figured out, it is a snap. One nice benefit of a small cabin is the effectiveness of the air conditioning. South Florida summers can be brutal, and the Grand Sport’s air conditioning turned the sauna-like heat in the cabin into ice-box temps in less than 10 minutes. The convertible offers a rectangular, shallow trunk, big enough for several soft-sided weekend bags. Starting the Corvette Grand Sport is by way of a convenient keyless button. The power and sound of the 430 HP engine (436 HP with the optional dual-mode exhaust package) instantly puts your senses into overload mode. This engine sounds exactly how a true V8 muscle car engine should be, deep, aggressive and with the right amount of burbling mixed into it. Blip the throttle and its impossible not to get a big grin on your face from it. Selecting D on the automatic transmission, you look forward and instantly notice the large fender arches that are definitely a signature Corvette item. The steering is power assisted but not overly so. Interestingly, during our week-long experience with the Corvette Grand Sport, we noticed ourselves driving slower than typical, I figured it was for two reasons, namely because it’s great knowing you have all of that power and not really needing to show it off and second, the spring on the throttle is stiffer than what this writer is used to. This is a good thing, as that alone can save you from the embarrassment of saying “Was I driving that fast officer? I didn’t even notice it”, excuse. The other interesting item we noticed was how quickly the gears upshift, clearly done for better fuel economy. Mind you, this is not your grandmother’s church going conveyance. Stomp on it and the optional dual-mode exhaust explodes into a cacophony of sweet engine sounds that create a compelling reason why one buys one of these great sports cars in the 1st place. Handling is superb, with an amazing capacity to “go in deep into the corners” offering a predictable and balanced behavior regardless what you ask of it. Brakes are simply breathtaking, offering excellent repeated stop performance with very little fade. Ride quality is aggressively sporty, almost on the edge of harsh, although it is much better than how previous generation Vettes felt like. 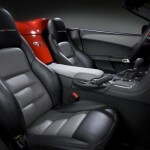 Looking at a Porsche Boxter/Cayman or 911? Maybe even a BMW 6 Series? 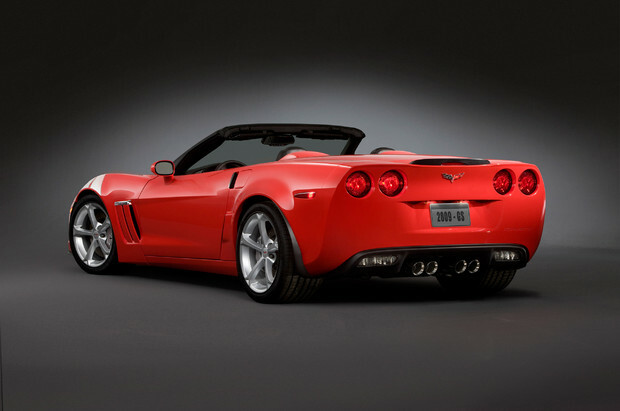 Then it’s time to include the 2011 Chevrolet Corvette Grand Sport in your short list of world-class sports car candidates. Popular Options: Packages include: 4LT, Grand Sport Heritage, Chrome Aluminum wheels, Nav-system, 6 speed paddle shift automatic.